During the afternoon of Jan. 18, around 25 alumni of the Mercyhurst Dance department snuck into the Mary D’Angelo Performing Arts Center dressing rooms. Their objective: surprise the soon-retiring Tauna Hunter, professor and former chair of the Dance department for 24 years. Hunter will be retiring this spring after accompanying a group of Dance majors to Ireland during Mini 4. Alumni from around the country traveled into a snowy Erie to surprise their favorite mentor by arriving in time to take a ballet class. On Saturday, everyone ate brunch in the Grotto Commons, and participated in a cocktail hour and dinner on the Mary D’Angelo Performing Arts stage. Around 30 alumni attended the dinner to celebrate the impact that Hunter has had on the dance community during her time at Mercyhurst. During the event, Hunter was lauded for her accomplishments at Mercyhurst and awarded her name on a PAC chair next to her husband and retired Dance professor, Michael Gleason. 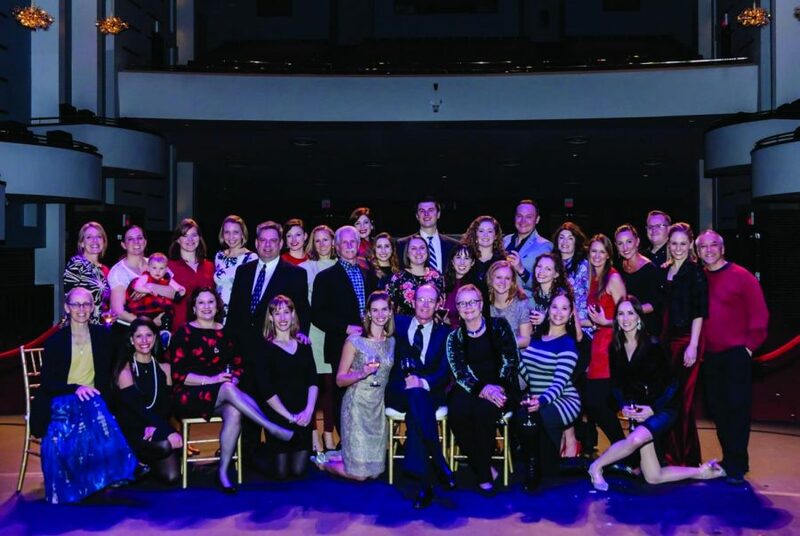 Furthermore, an endowed scholarship fund has been created in Hunter’s name to eventually empower even more women in the field of dance and arts management. Throughout the weekend, support flowed all over Facebook and social media as alumni who could not be physically present sent kind words Hunter’s way. Hunter said, “I’m a very grateful woman to have had a blessed journey with so many amazing students/alumni who have delighted me this weekend with their presence.